Owl you need this festival season is a cute pair of high-waisted shorts! These Trippy Owl High Waisted Booty Shorts are soft, stretchy and feature beautiful blue colors with complementary color accents. 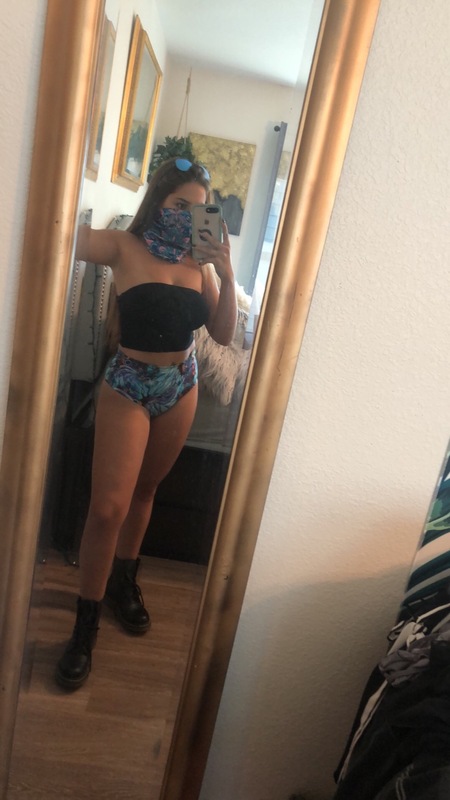 Model Measurements:Height: 5' 6" - Bust: 32" - Waist: 28" - Hips: 40"
Trippy Owl High Waisted Booty Shorts has a rating of 4.11 stars based on 9 reviews. I won’t be using the item until EDCLV in May! First festival ever! I was worried when I ordered it that it’d be the wrong fit (as that’s what usually happens when I order online, especially with my 1x-2x size), but it fits perfectly and is so comfortable! Fit really well, they just came up a little higher than I expected but I just folded them under and they looked fine! They fit perfectly... and look hella fire.